Baltimore City's 2012 Sustainability Challenge invited 54 Baltimore City public schools to create school-wide responses to at least one of three challenge areas--sustainability, energy, and food. 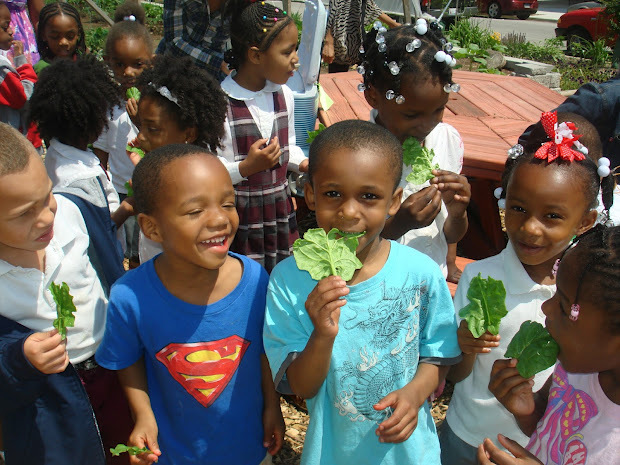 This spring, John Eager Howard Elementary School not only participated in the Sustainability Challenge, but completed projects that attempt to improve John Eager Howard's performance in all three areas. 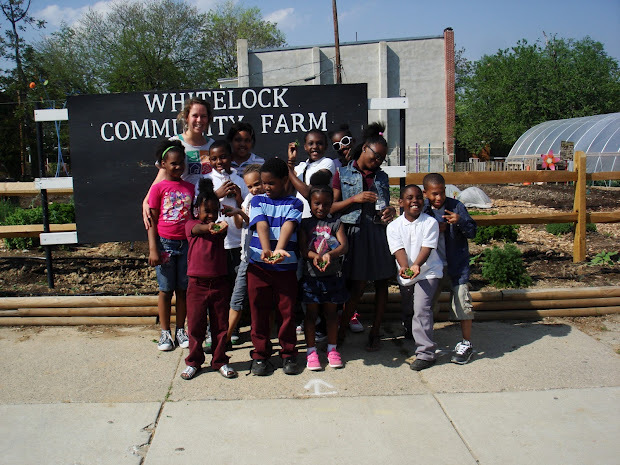 As part of JEH's Healthy Foods challenge, RHIC and Whitelock Community Farm hosted students on 6 field trips to the Farm, a short two block walk from Lennox St. to Whitelock St. For many students, it was their first time visiting any Farm, whether in their neighborhood or beyond. and also learn a little bit about some often overlooked ingredients. By the time they left, the students couldn't wait to come back! Older PostThe rain stopped for a day and Reservoir Hill has a new street mural!